We’ve always known that eating green leafy foods are beneficial to our health, but do you know exactly why? And with so many different types of greens on the market how do you know which one is right for you? So many unanswered questions right? The answer simply is…TRY KALE. Kale has moved to the head of the class as a superfood and a must have in your diet. 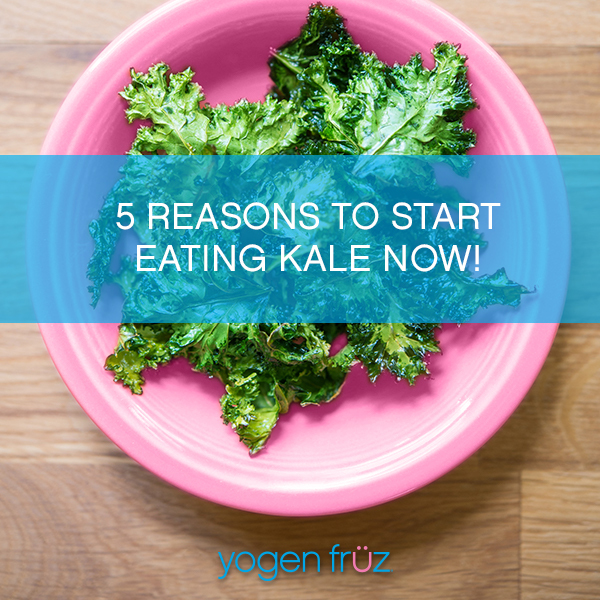 Here are just a few of the reasons you need to add kale to your diet today! Look and feel younger – Kale is high in antioxidants including beta-carotene, vitamin c, quercetin and kaempferol. Antioxidants are beneficial as they are believed to help counteract aging and a number of diseases. Healthier eyes – Kale is high in lutein and zeaxanthin which have been linked to to a drastically reduced risk of macular degeneration and cataracts. Lose weight – Kale is rich in vitamins and nutrients, low in calories and high in water content. With these combined benefits in mind, it would be a useful addition to any weight-loss diet, and in combination with excercise can have positive results. These are just a few of the many benefits of going green. The great news is that incorporating kale into your diet has never been easier! Yogen Früz offers a number of kale infused green smoothies that are jam packed with kale as well as other nutritious ingredients. 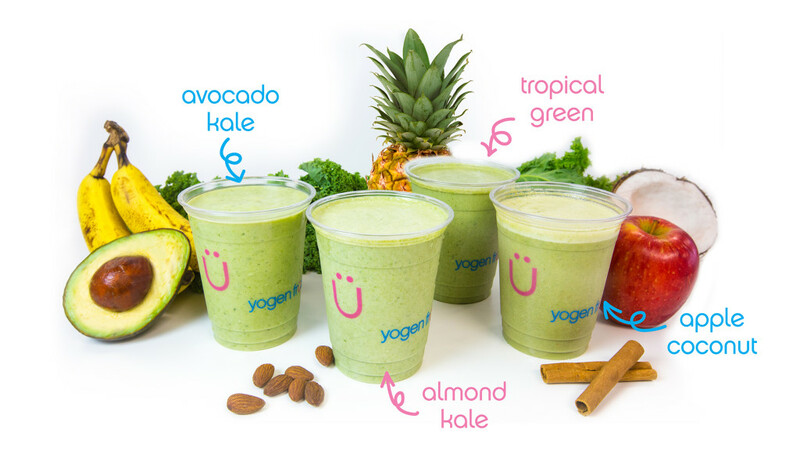 Some of our yümmy flavours include; Avocado Kale, Almond Kale, Apple Coconut, and Tropical Green. Try one of these nutritious and delicious smoothies today and ensure you’re taking advantage of getting kale in your diet.